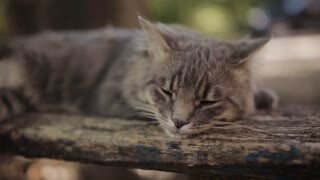 Search Results for "sad cat"
Sad homeless cat resting on the wooden fence. Gray homeless cat napping. Long White Whiskers. Cat portrait, no people around. Outside shooting. 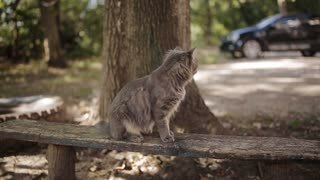 Lonely gray cat with long white whiskers and sad look is lies on the bench. Fluffy cat. Cat portrait, no people around. Outside shooting, close up view. Lonely gray cat with long white whiskers and sad look is sitting on the bench. Fluffy cat. Cat portrait, no people around. Outside shooting, close up view. A domestic grey cat with white chest after fight with dogs. Sad cat have a trouble with eyes. Sick eye can't see. Close up. 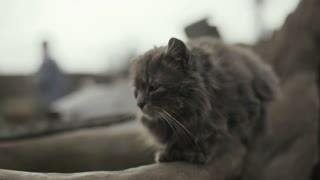 Close up video of a sad cat near young man caressing another light gray fluffy cat. 4k stock footage clip. Sad cat sitting at the window and waiting for his mistress. A man sits on a couch petting a cat and trying to get the cat to play with him. The cat leaves and the man is sad. Super slowmo of cute lovely sad spotted and drowsy cat kitten looking at camera with sleepy eyes. Slow motion.